Why do homeowners love our ePropertyWatch Instant Home Valuation Report? Ever go to an online real estate site to check out what your home is worth? Curious about nearby homes that are for sale or recently sold? How about how much your home might be worth in the next two years? With ePropertyWatch Instant Home Valuation Report, that information (and much more) comes directly to you. 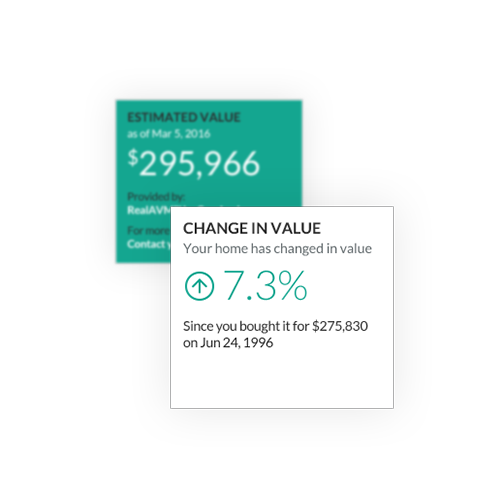 ePropertyWatch Instant Home Valuation Report delivers information about YOUR home and neighborhood straight to your inbox. Not some dry, dull report about your town – it’s tailored just for you. your home is probably your #1 asset, so we’ll help you know where you stand! Not only will you see what your home is worth today, but you’ll also see the industry’s leading “home price index” forecast for what your home might be worth years from now. That’s great for planning your real estate future. With ePropertyWatch Instant Home Valuation Report, you’ll know exactly what is happening around you. From sales to rentals to foreclosures you’ll have your finger on the pulse of your neighborhood! Plus much more, subscribe now for access..